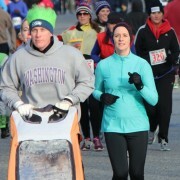 Runners take off from Pybus Public Market at last year's River Run Half-Marathon, 10K and 5K. WENATCHEE — Sunny skies and temperatures in the 60s and low 70s are expected to greet participants Saturday during the fourth-annual Black Diamond Sports Therapy River Run Half-Marathon, 10K and 5K. As of Tuesday morning, about 300 runners and walkers had registered for the event, which starts at Pybus Public Market and finishes amid the Taste of the Harvest Festival in downtown Wenatchee. 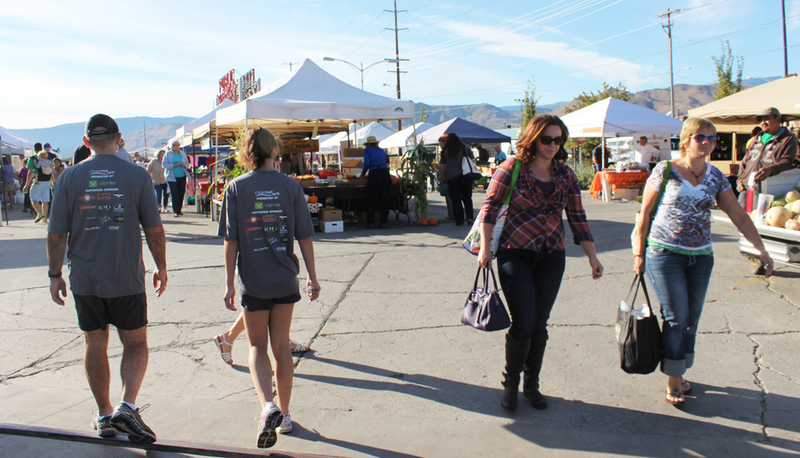 Both Pybus Public Market and the Taste of the Harvest Festival attract runners before and after the race. Last year, a record 340 athletes signed up for River Run. The half-marathon will begin at 9 a.m., followed by the 10K and 54K at 10 a.m. After leaving Pybus Market, participants in all three races head south on the Apple Capital Loop Trail and cross the old Columbia River pedestrian bridge to the East Wenatchee side of the river. They then head north, with 5Kers turning around just a short distance from the bridge, 10kers turning around just past Porter’s Pond; and half-marathoners going all the way to the Odabashian Bridge, crossing that bridge before turning around in Wenatchee Confluence State Park. On the way back, runners in all three race will go past Pybus Market, cross the Riverwalk Crossing pedestrian bridge over the railroad tracks, and then finish next to the Stanley Civic Center Plaza at First Street and Wenatchee Avenue. The Taste of the Harvest Festival — which features arts-and-craft booths, wine and beer gardens, live music, local food vendors, and kids activities — stretches from First Street south on Wenatchee Avenue. 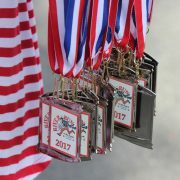 Online registration (https://www.runwenatchee.com/event/river-run-half-marathon-10k-5k) closes at midnight Thursday. People also can register in person at Pybus Public Market from 4 to 6 p.m. Friday and from 8 to 9:30 a.m. Saturday. Packet pickup is held at the same times and place. River Run participants are asked to park in lots on either the west side or east side of the Riverwalk Crossing pedestrian bridge. Besides naming sponsor Black Diamond Sports Therapy, other sponsors include NCW Wine Country, KOHO Radio, Mission Ridge Ski and Board Resort, iLa Yoga, Project Groundwork, Arlberg Sports, Orchard Bar, Crunch-Pak, Wenatchee Downtown Association, and Team Relive.